This unit is responsible to provide anaesthesia for all types of surgeries in the operating theatre. It is equipped with anaesthetic machines and monitoring systems for the critically ill patients. This unit is for the patients undergoing General surgery, Neurosurgery, Vascular surgery, Electroconvulsive therapy, Otolaryngology, Plastic surgeries, etc. Its mission is to maintain patient safety, alleviate pain, minimize discomfort and to minimize psychological responses. 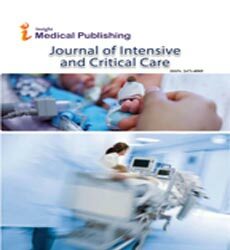 JBR Journal of Interdisciplinary Medicine and Dental Science, International Journal of Anesthesiology & Pain Medicine, International Journal of Collaborative Research on Internal Medicine & Public Health, Anaesthesia and Intensive Care, Anaesthesia and Intensive Care Medicine, Acta Anaesthesiologica Italica / Anaesthesia and Intensive Care in Italy, British Journal of Anaesthesia, Anaesthesia.